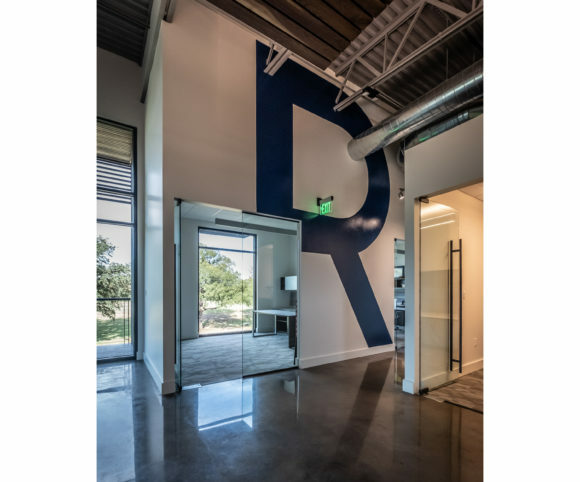 About: Since 1994, the team at Reeder General have provided the Texas construction industry with a solid reputation of integrity and performance. Exterior: The zoning regulations calls the aesthetic ‘Texan Tuscan’ with earth tones. Majority of the buildings in the area match that look. We challenged what this meant by pushing those terms into a modern design. The facade materials are stone, stucco and glazing. 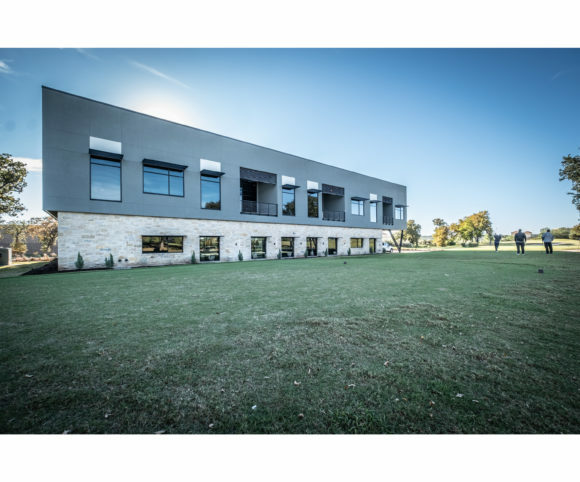 The project is nestled into the site between a small wooded area and a golf course. 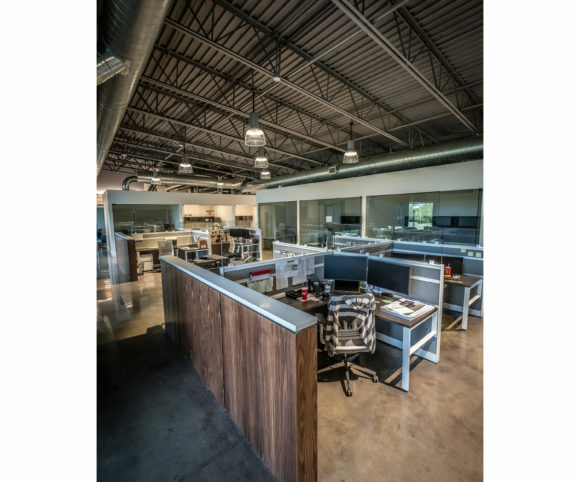 Interior: The interior layout is a study in organization. Working closely with the tenant, investigating how they operate as a team, and organizing them efficiently was paramount. The office is organized into thirds with a leader in charge of each bay, all situated along the golf course. 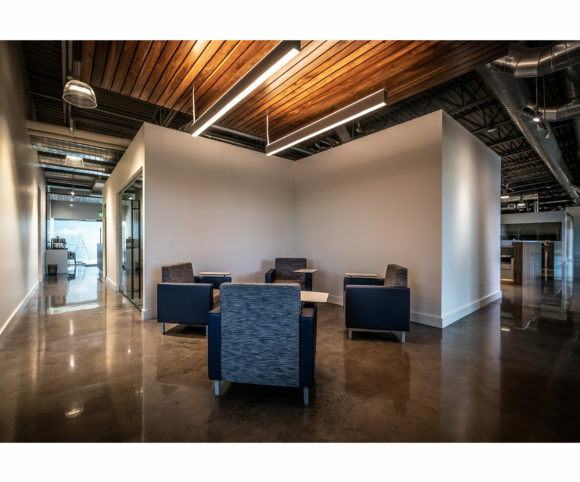 However by pulling the offices apart, we created views and light between for the open office areas. 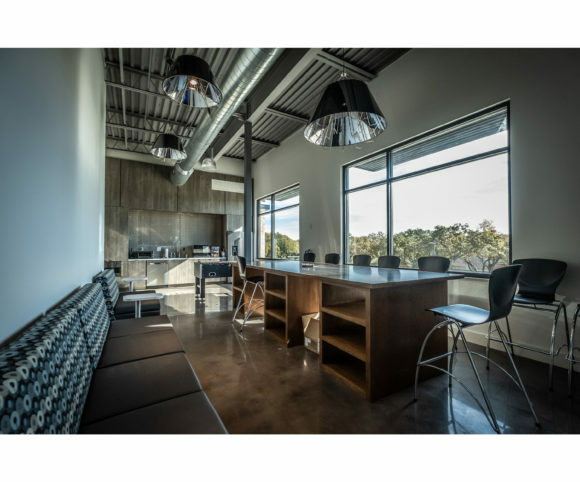 The lobby, conference room, and break room are situated adjacent to the three bays in a long bar. 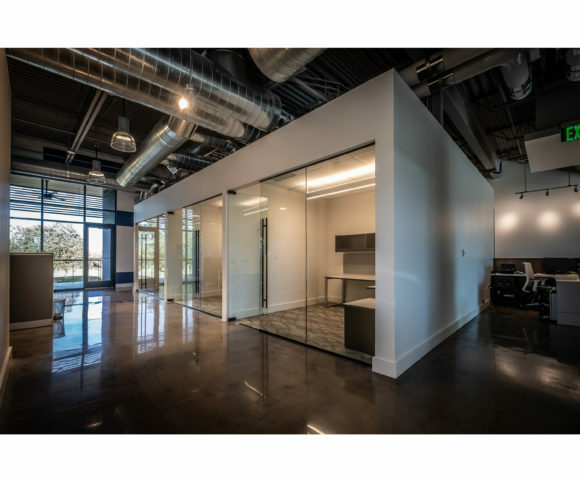 Finishes were kept minimal with painted open steel structure, concrete floors, and white walls. 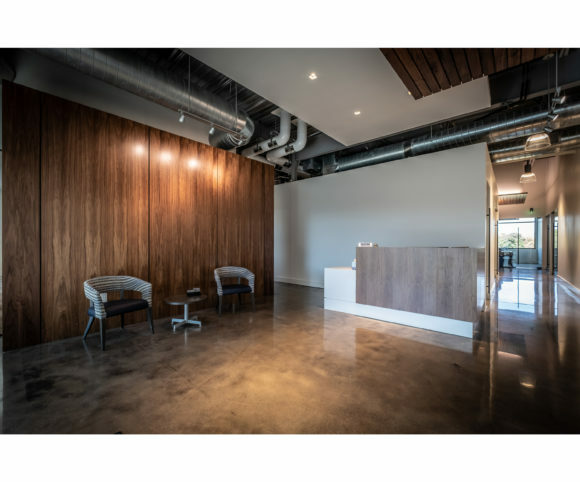 Mid-century walnut veneers accent the offices and provide a warmth to the spaces. The furniture provided by Kimball further reinforces the design continuity. 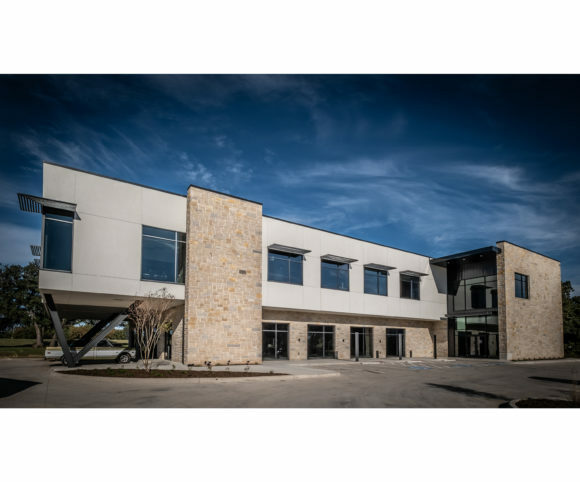 Awards: 2019 CMAA Project of the Year.